The Entourage Salon & Spa is the only continuously trained and trend-aware team in Sheboygan County with the expertise to provide high-end affordable services in a welcoming and comfortable environment. Our stylists still train, learn new techniques, and hone their skills no matter how experienced they are. We make any style ambition a reality. Take a look at all of our hair services below and contact us for an appointment. If you are interested in getting hair extensions, or learning more about them call the Entourage at 920-459-7110 and setup a complimentary consultation with Keisha Herzog. Keisha is a certified Hairdreams hair extension specialist. Visit www.Hairdreams.com for more information. Prior to your initial hair extension consultation, think about why you are interested in having hair extensions. People choose to get hair extensions for a variety of reasons, add length, add volume, add texture, or simply change their style. Remember that time , effort, and cost are a major part of any hair exension process and it is different for each client. Hair extensions are only guaranteed when you take proper care of your extensions, which includes following the after care process and attending all needed appointments. When taken care of correclty, hair extensions can be worn on average four to eight months. If you have short or fine hair, the average period is four months. exensions are not for you. All salons have different processes for hair extensions which is why a consultation is required, even if you have had consultations at other salons or even had hair extensions in the past. When scheduling your consultation please specify your appointment is for hair extensions with Keisha. All hair extensions and clip in hair extensions are price quoted by the stylist and require a consultation. Following your salon or spa service, sample an exciting new lip color, a splash of eye color or a fresh touch of blush. Makeup artists will personalize your AVEDA makeup application to best suit your features and skin tone with colors and techniques that enhance your natural beauty. With this hands on lesson, you’ll learn to create a lookthat’s just for you! Our makeup artists will teach you how to enhance your best features and minimize minor imperfections. A complete colour cosmetic take-home guide in included. 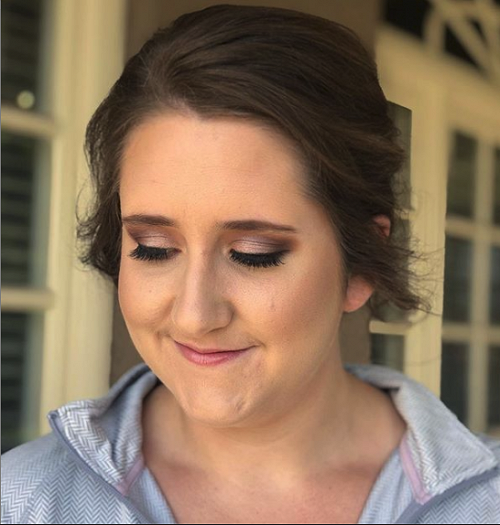 Our professional makeup artists will work with you to achieve your most beautiful look. Choose from a daytime, evening or special occasion application. Entourage Salon & Spa offers expert eyelash extension services that compliment your new hairstyle and makeup. Our eyelash experts can extend, thicken, or tint your eyelashes to top off your new look! As we age, lashes grow shorter and sparser. Xtreme lashes are sythetic fibers attached individually to each natural lash using medical grade adhesive. The fibers give your lashes a weightless fell and natural look. Touch ups, or fills are required every two to four weeks to maintain the natural, luscious look. A brief consultation with Stephanie, Heather O or Kate is required before booking an appointment for a full set. A full set is three hours application time and approximately 90 or more extensions are applied to each eye! A fill appointment is required two weeks after the full set. Fills are 1.5 hours long;extensions are applied to new lashes and others that have shed. Care and maintenance of extensions are easy; be gentle in eye area, avoid extreme heat and use oil free products. The Entourage carries several Xtreme lash products for use at home. Visit www.xtremelashes.com for more information. 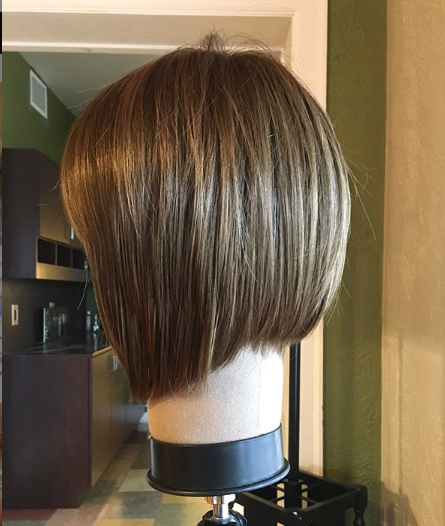 Entourage Salon & Spa offers a private oasis where those dealing with hair loss or thinning hair can relax and have our experts help you select a wig alteration. We can help choose the right style, color, and make alterations for a proper fit. We also offer other options such as head wraps and designer scarves. For most women selecting a wig is new territory. To get started you need to know what is available Synthetic and human hair wigs are equally durable and can be matched to your own hair color and cut. Synthetic wigs are easier to maintain, hold longer, dry faster, and are less expensive than “real hair” wigs. Human hair wigs have a more natural fell and versatility. They can be treated as real hair and can be permed, dyed and touched up with heated appliances. Entourage wig purchase includes a complimentary consultations, hair services and maintenance before hair loss, wig fitting, upkeep and alterations to your wig, and tidy cuts during regrowth. Clients of our wig salon will receive a Relax and Renew card that entitles them to receive a 15%discount off of all spa services Monday – Thursday. (please visit our spa section of our web page for a complete list of services). All Wig services require a $50.00 – 60 minute consultation. The client can apply $25.00 of this cost towards the purchase of a wig, designer scarf or hat. Try on multiple styles, types and colors. Consider cutting hair shorter before starting treatment. Experts suggest matching your lightest hair at the top front of your head. Learn to wear your wig and practice with our expert stylists. Consider an everyday wig, and one for special occasions. Keep in mind, real – hair wigs require more maintenance.